We know how important native and honey bees are in pollinating our food crops and flowers, but what about our beautiful trees? Do insects play a role in their health as well? Yes! – and in some surprising ways… Moths and butterflies, bees, wasps, beetles and ants all play a vital role in the survival of our gentle giants of forest and park. 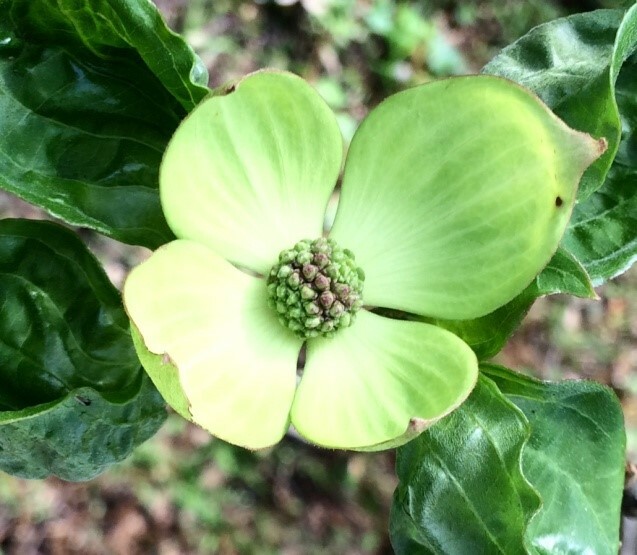 Many insects serve as pollinators of early-flowering trees in our Mid-south region. 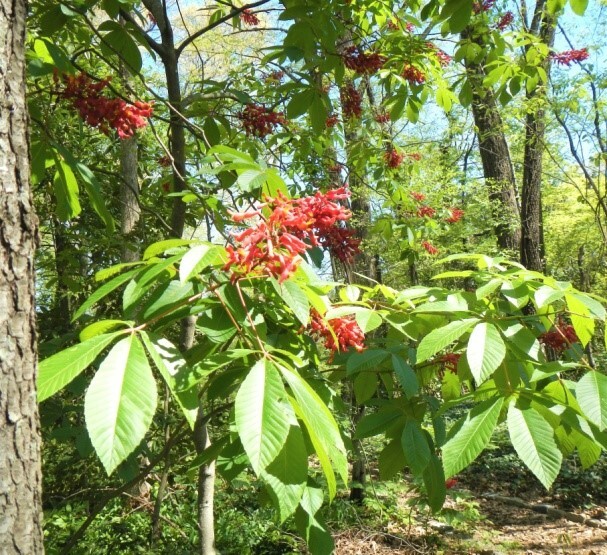 Butterflies and bees join hummingbirds to pollinate the red flame spikes of Red Buckeye ( Aesculus pavia #931**). More than eight species of bees are attracted to the nectar and pollen of the bright pink, pea-blossoms of Redbud ( Cercis canadensis #124). Paw-paw ( Asimina triloba # 035), with its 6-petaled purplish-brown flowers smelling of rancid meat, is irresistible to flies and beetles who crawl into the downward-facing flowers. Their fertilization produces a luscious strawberry-banana flavored fruit. Many exquisite butterflies and moths of our area sip nectar as they pollinate local trees, shrubs, and herbaceous plants. These winged beauties then lay their eggs on specific native trees. The hatching caterpillars munch on leaves of the host plant, while serving as food themselves for local birds, reptiles, and mammals, participating in a healthy ecological food web. Have you heard of Buzz Pollination? Also known as sonication , this is how Bombus, the bumble bee, extracts pollen from narrow bell-shaped flowers. The anthers of these narrow flowers have pores, rather than slits for pollen release. The pores do not passively release pollen grains, so bumble bees detach their wings from their flight muscles, clasp the flower anthers with their mouthparts or forelegs, and vibrate thoracic flight muscles at high speed to shake the pollen loose. Our TN state tree, Tulip Poplar ( Liriodendron tulipifera #056), is a magnificent straight-trunked giant, host plant to the Tiger Swallowtail butterfly. It belongs to the Magnolia family whose flowers have been pollinated by beetles for millions of years. 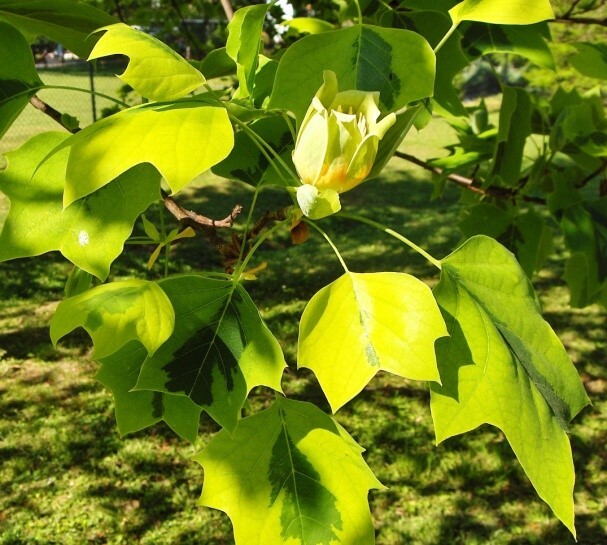 Tulip Poplar’s large tulip-shaped flowers are greenish yellow with an orange center ring holding sweet nectar that attracts beetles and ants, and sends squirrels racing through the trees in a sugar frenzy. Insects also serve as natural controls to infestations of insect pests in our fields, gardens, and woodlands. Ladybugs and lacewings, both larvae and adults, eat massive numbers of aphids. One ladybug can eat over 5,000 aphids during its one-year lifetime! Parasitic wasps (e.g. braconid) lay eggs in the bodies of caterpillars. The wasp larvae hatch and then feed on their host caterpillars, providing a biological control to prevent defoliation by large caterpillar populations. Did you know that figs are pollinated by wasps ? Although not native to the Mid-south, we can grow some varieties of figs in our region. In section J, we have the Celeste Fig ( Ficus carica ‘Celeste’ #637), as well as a row of figs in the Children’s Garden. Delicious fig fruit is pollinated with the help of a Fig Wasp. These tiny wasps enter the fruit through a minute hole, to mate, lay eggs, and pollinate the fig flower which grows inside the immature fruit. Many bee species make homes in trees. Not only do social bees build group hives in living trees, but solitary bees (including Mason Bees, pollinators of fruit trees) take up residence in holes in dead wood left by beetles and other insects. When limbs or entire trees fal l in a storm, which members of nature begin immediately to chew up and bore into the fallen wood? Insects, of course! Termites, beetles, ants, millipedes, and mites are vital to turning the detritus of plant and animal life into rich, nourishing soil. The greatest of trees couldn’t live without these tiny soldiers of earth and sky ---- and neither could we. **All trees mentioned can be seen growing at the Memphis Botanic Garden. Ask for a map with a numbered key at the Visitors Center desk.